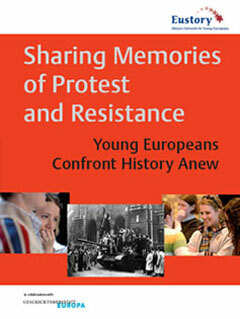 How are acts of protest, resistance and civil disobedience in the 20th century remembered officially and unofficially in various European countries? Step by step the participants of the project analyzed traditionally accepted understandings of protest in 20th century history and discussed them in a European context. They analysed monuments, memorials, websites and films – and together with their grandparents and parents they recalled personal experiences in the fight for human rights and democracy. The results of their joint work were exchanged and discussed in an internet forum. hg. von EUSTORY und der Geschichtswerkstatt Europa, Hamburg 2007.